I like kajals and based on positive reviews, I selected this Lakme Satin Kajal as the first kajal for me. I definitely use kajal daily but not traditional kajals. I use eye liners and not too close to my waterline. 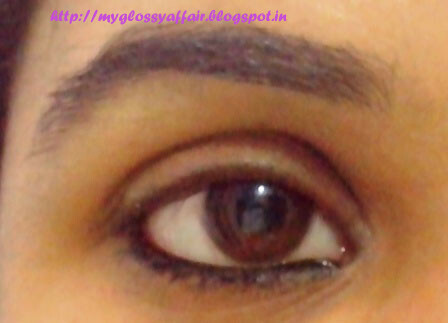 Now coming back to this one, this kajal is very pigmented and gives a good definition to eyes with minimal effort. You can have a thin line close to your waterline or you can make a wider for a glamorous look. It is thick, intense and gives a jet black color with one stroke. It gives a nice glossy finish and glides on very smoothly. It doesn’t cause any irritation to me. After so many good reviews about it, I wanted this to work for me too. But for me, being oily skinned, this kajal has not been very helpful. It smudges for me L. It started giving me raccoon eyes after 1 hour of application. 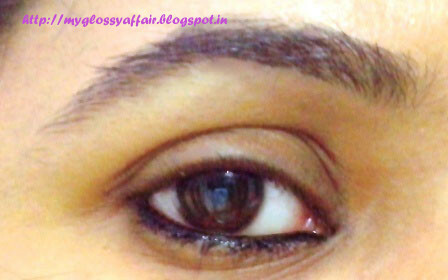 After 3-4 hours, kajal was nowhere to see on my waterline but leftovers near the surrounding areas of eyes were there. Direct the drama in your life to your eyes to enhance their natural beauty with the Lakme Black Satin Kajal. Do not worry about the kajal running down your face when you enjoy the season’s first rains as this stick is resistant to water. Sport this kajal throughout the day without one smear or smudge ruining the dramatic effect that plays up your eyes. Black Satin is formulated to lend a slight gloss to the lines that you draw, enhancing the look and making your eyes look well-made up. Be it for parties or for regular use, the kajal lends just the right amount of finesse and color to ensure that you look your best. Rs. 150/- for 2 gms. It is dark, jet black in color. Very good pigmentation, gives a fine, dark line in just 1 stroke. Can be easily applied in a thin line or a more glamorous thicker avatar. It smudges a lot on me. Lasting power is not much.